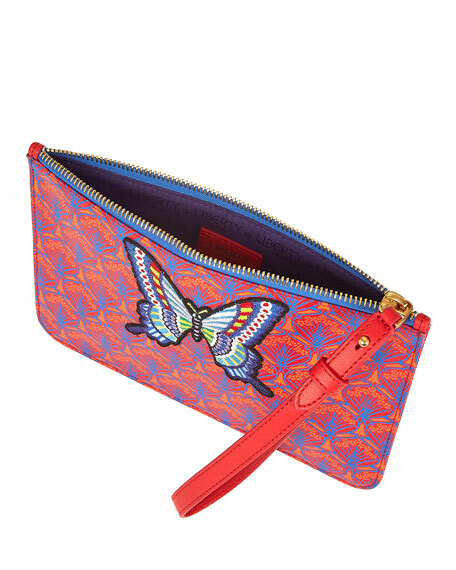 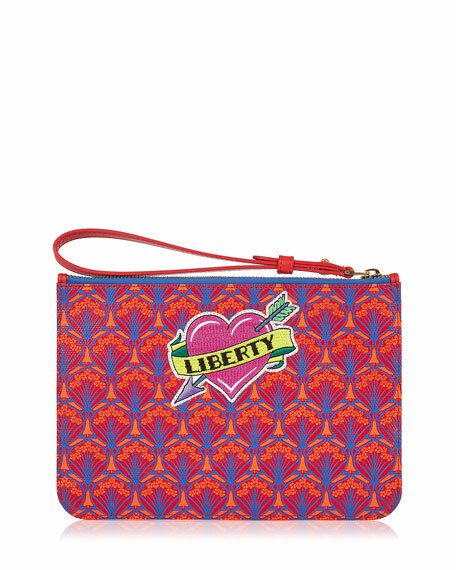 Liberty London coated canvas logo wristlet bag with leather trim. 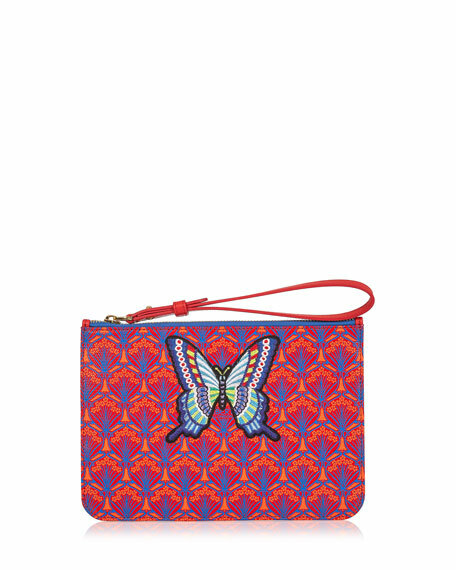 Embroidered butterfly patchwork at front. 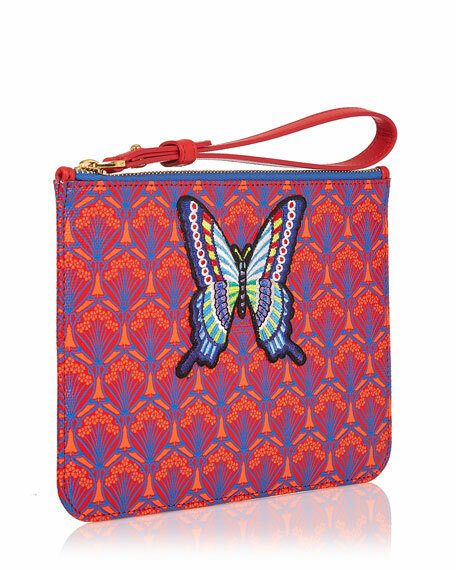 Zip top closure with wristlet pull, 7.9" drop. 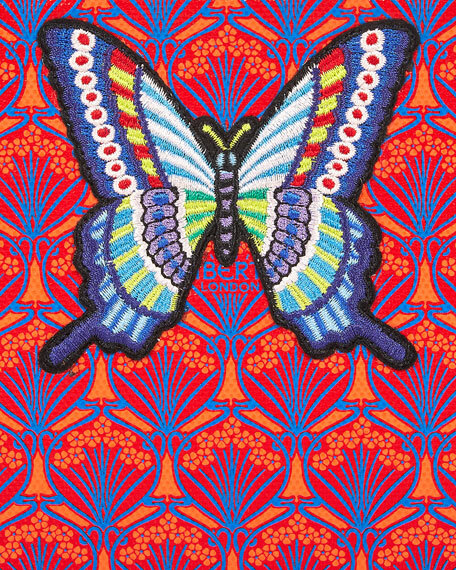 5.9"H x 8.7"W x 0.7"D.